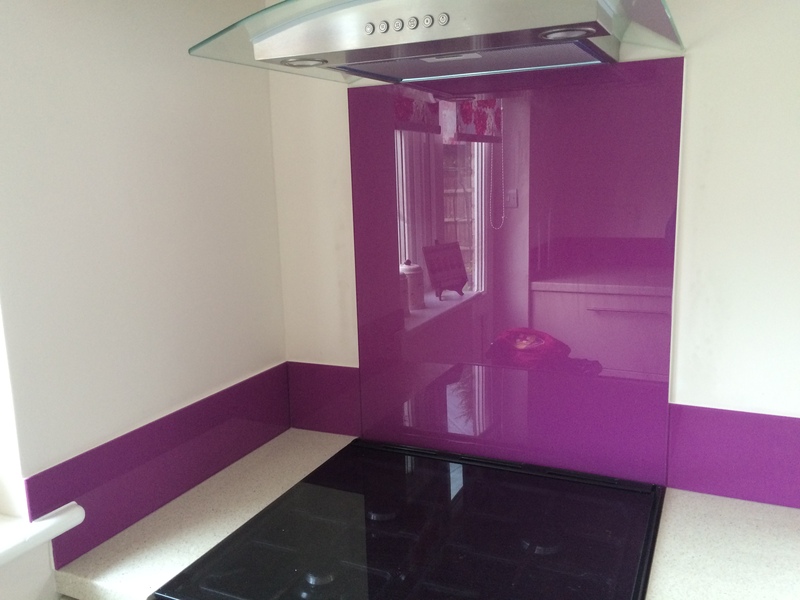 Coloured Glass Upstands – MyColourGlass offers glass upstands to compliment your glass splashback. Glass upstands UK are a modern marvel when it comes to decorative and durable upstands. Upstands in the bath area or the kitchen are as important as the flashing on a roof edge. Often with splashbacks, as in your kitchen, you will want to use an upstand on the ends so it is not just standing there attached to the wall with raw edges. Using raw edges are a possibility at MyColourGlass because all edges of toughened glass are polished and smoothed. Therefore using the addition of upstands is totally up to you. We do carry glass upstands in a wide variety at MyColourGlass. Take time to ask us about them, no matter what your project. Originally, upstands were created to keep moisture from seeping under edges. Some places still require this, such as the bath area. But now, more and more, upstands are also being used for their decorative value. Where Does Glass Upstands UK Fit Into My Decor? Maybe you are actively seeking glass upstands, or you ran into this by chance, and are asking yourself, “Where does this fit into my decor?” Well, lets look and see how you can benefit from glass upstands. Coloured Glass Upstands- You can choose any colour for your glass upstand at MyColourGlass. We can even match samples of a color swab that you provide. Take a look around our site, and check out the “RAL Classic Colour Chart” if you need ideals, or are at a loss when it comes to finding a colour. If you need help or guidance in selecting a colour, feel free to talk with our experts at MyColourGlass. We will find the perfect solution for all of your colour needs and how to use upstands to your value in decorating and for practical use. Clear Glass Upstands- Clear glass upstands are marvelous and very useful in fitting with any decor. Some like a “smoke” tinted upstand for an especially stylish look. The really good thing about clear glass is the fact that the original colour of the wall can show through, or print on a wall paper pattern. The glass makes the upstands really easy to clean. You simply wipe it clean with a cloth, and polish it a bit if you want. Printed Glass Upstands- Who ever said that an upstand had to be of just one colour? With the ultra high resolution digital printing at MyColourGlass, the possibilities are seemingly endless. You can have a printed splashback and carry it on in your upstands. The “tie-dye” look is amazing when it comes to upstands. Why Choose Glass Upstands UK? The number one reason to choose glass as the material for your upstand is the cleaning and upkeep is so easy. It is also a very sanitary choice for the bathroom and the kitchen. They always say you can tell a good housekeeper by how clean their kitchen and bathroom is. Glass work, no matter how you use it, is amazingly easy to keep clean. It only makes sense to use glass upstands UK as your long term choice along with other toughened glass features in the kitchen and bath area. Give your kitchen some visual punch with a coloured glass upstand. We use 6mm toughened glass, ensuring that they are thin to the wall but just as durable as our other glass products. With glass being an easy-to-clean product, it’s the ideal material for areas that need constant cleaning up. A coloured glass upstand is a great alternative to other decoration options in the same area in the kitchen, like stone or tile. Ageless and low-maintenance, glass is the perfect complement to your home. Choosing a bespoke colour means you’re getting a one-of-a-kind look that suits your kitchen. We cut the glass to the height you need, and make any allowances for corners or cutouts necessary. Next, we polish the edges for safety and then apply paint in the colour you choose. With thousands of colours to choose from, including RAL or any other colour chart, we can match colours and replicate your dream design, turning it into reality. We also offer colour matching services, should you already have something in mind. Whether you’re doing home renovations on your own, using a contractor, or booking our services to assist, the installation is virtually hassle-free. All that’s needed is adhesive and a steady hand to apply it. In your kitchen, a Coloured Glass Upstands is a wonderful addition to the decor, adding contrast or complementing an existing look seamlessly. 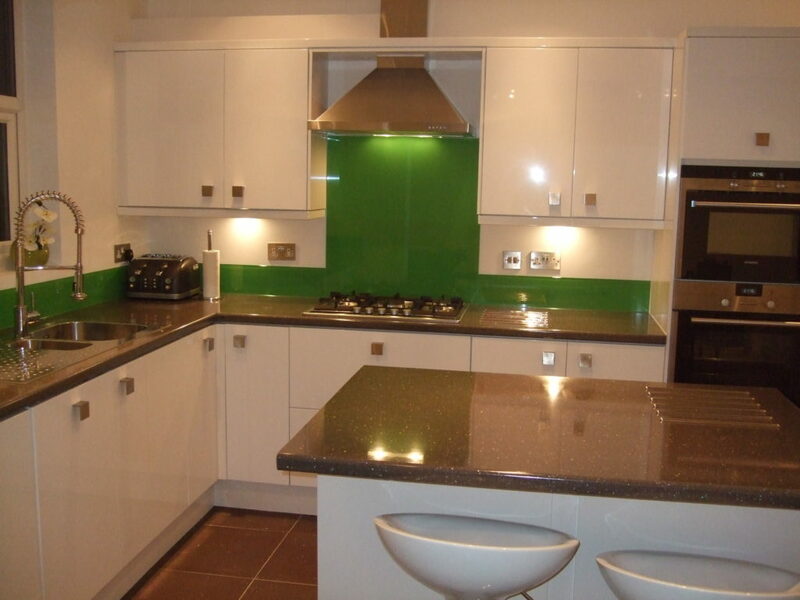 Choosing MyColourGlass for your next kitchen project means that you’re choosing to top quality materials and services. We use only the best products in our projects, and pride ourselves on our attention to detail and craftsmanship. Compliant with all safety standards, you can be assured that the addition of glass to your decor will not cause any problems. We guarantee your complete satisfaction once the project is finished.